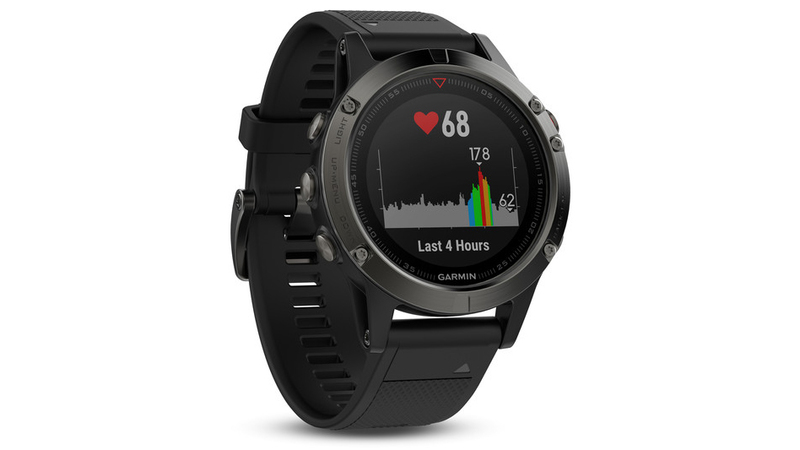 Slightly larger and heavier than the 5S, the Garmin Fenix 5 is an easy and accommodating way to track your progress. 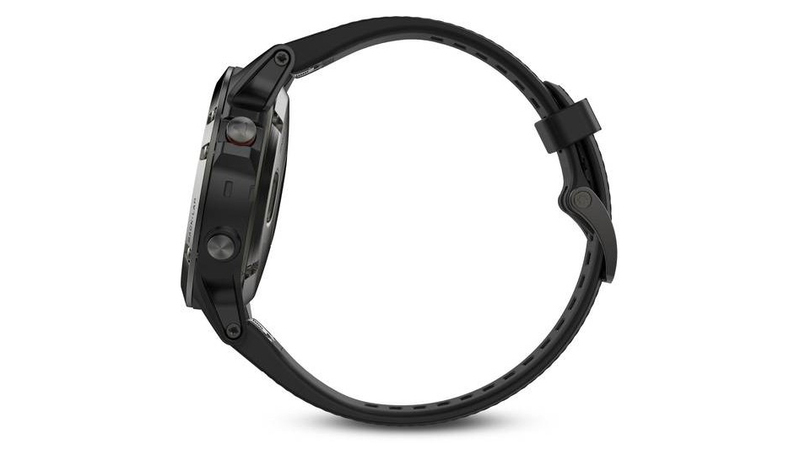 This bundle features the smartwatch and a heart rate monitor in one awesome bundle. 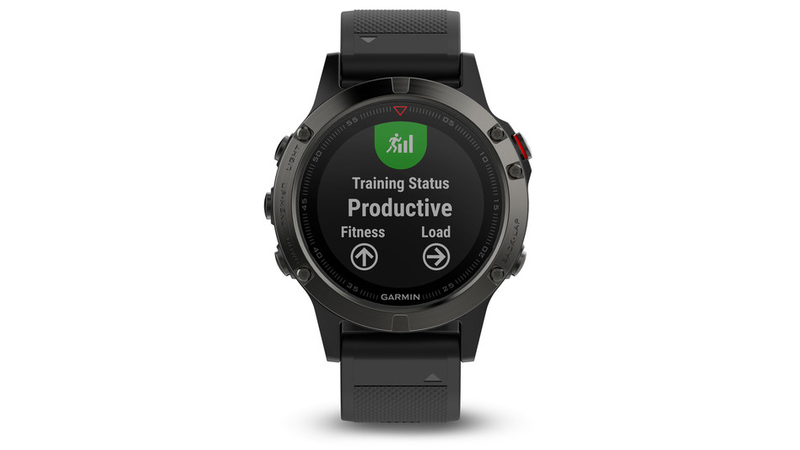 The Fenix 5 includes preloaded activity profiles for all your adventures. 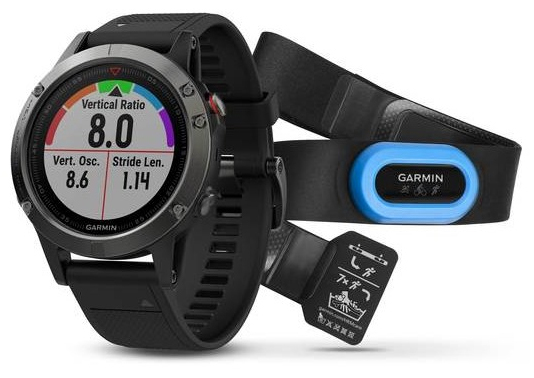 It includes connected features that offer smart notifications, automatic uploads to Garmin Connect, and displays all your stats at your fingertips. 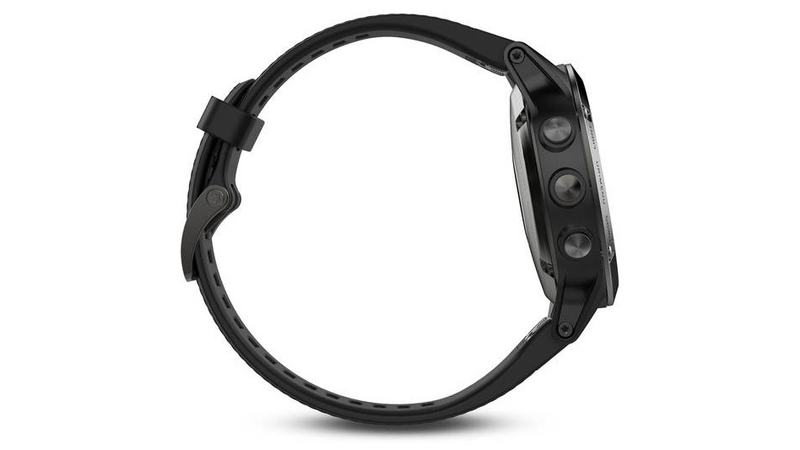 Outdoor sensors including GPS and GLONASS as well as a 3-axis compass and gyroscope with barometric altimeter give you the most accurate read on your location, speed, and elevation. The battery life lasts up to 60 hours, depending on activity. 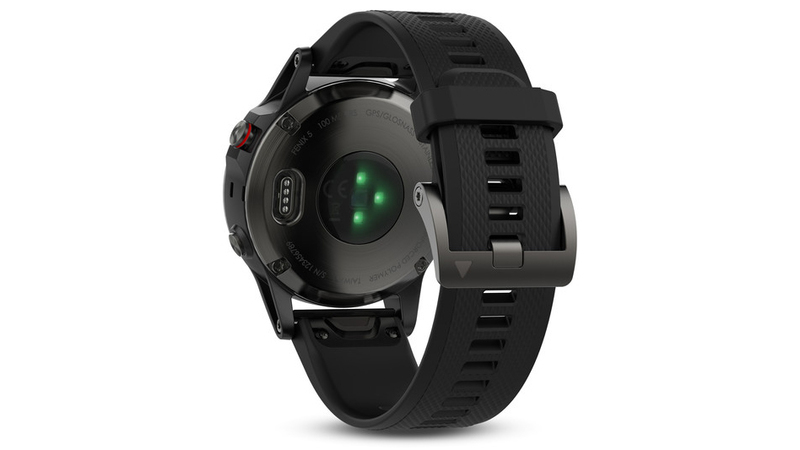 With a metal or silicone band, and settings for every type of athlete, the Fenix 5 is a new step in smartwatch technology.